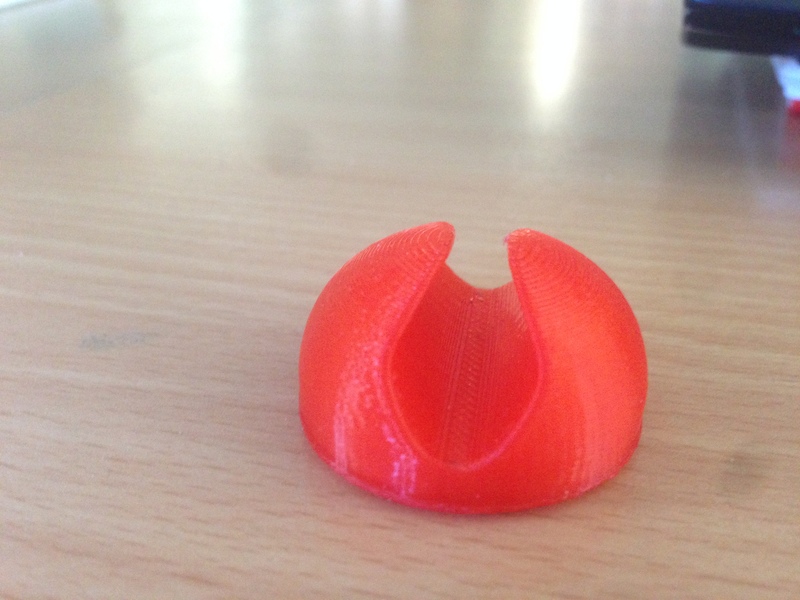 Day 68 – 3D Printing! After Jack found the cable holder clips Aaron started to print them, we used a MakerBot replicator 2 as this is a very fast printer. Aaron managed to print five cable holder clips, good thing was it only took 18 – 21 minutes to print them. 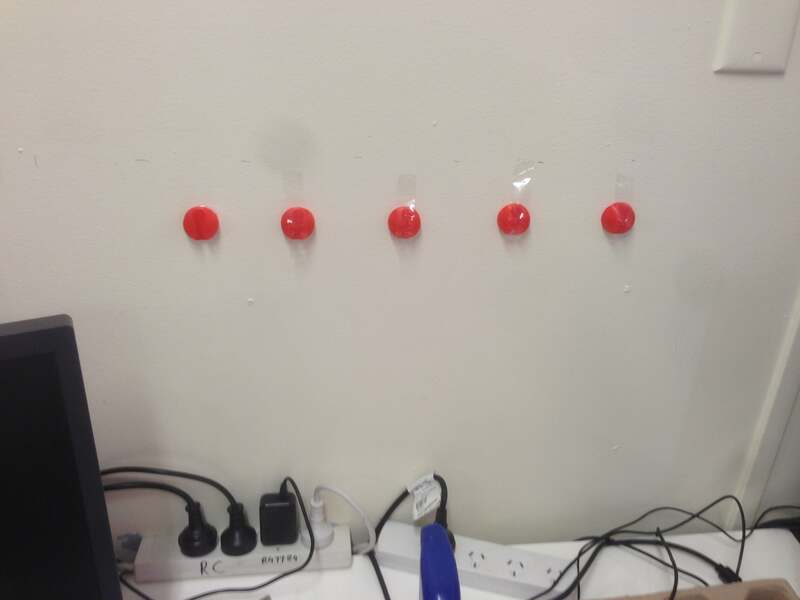 At lunch time Aaron started sticking them to the wall, we used epoxy. 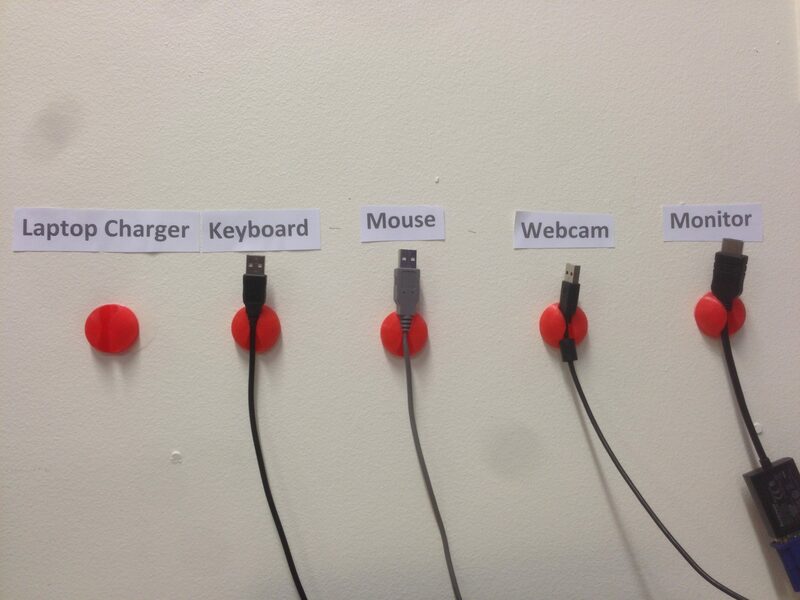 Later, Jack organised the cables. This finally clears up space in the middle of the desk so we can create a smoother workflow.